A little curiosity behind today’s advent calendar window; a forgotten gem of children’s cinema. As the schools break up for Christmas, and boys and girls everywhere begin rebuilding their summer-holiday relationship with daytime television, this is one film that you may want to watch yourself before you allow your children to be ensnared by its dark charms. 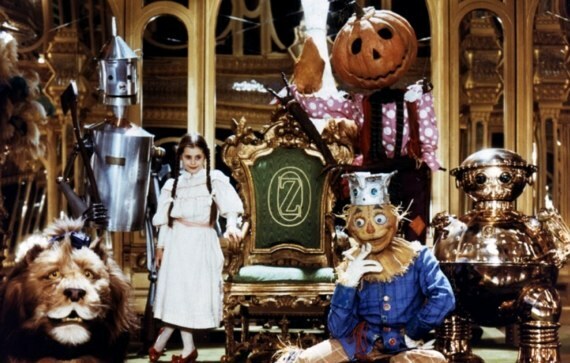 Return to Oz is a bleak and creepy sequel to The Wizard of Oz, made some forty-five years after the first film. In this version, Dorothy’s stories of fantastical kingdoms, talking lions and flying monkeys have been dismissed as nonsense by her Aunt Em and Uncle Henry. Worried for her health, they send her to Dr. Worley (played with sinister glee by Nicol Williamson, one of the best ever Columbo villains in ‘How to Dial a Murder). His electrical therapy treatments will cure her hallucinations, he claims, and he puts her in the care of Nurse Wilson before he the treatment begins. As a thunderstorm wracks the hospital, Dorothy is taken down to the laboratory where Dr. Worley’s patented devices wheeze and flicker. A sudden blackout plunges the clinic into darkness, and Dorothy can hear the moans and thuds or Dr. Worley’s other patients in their basement cells. Dorothy is rescued by a young girl, who tells her she needs to escape or she’ll end up like Dr. Worley’s unfortunate victims.They run down to the river, pursued by Nurse Wilson. The young girl disappears under the fast-flowing water but Dorothy scrambles to safety on a floating chicken coop and falls into an exhausted sleep. When she wakes, she isn’t in Kansas anymore. The rest of the film is a dark, delightful, nightmarish treat with monstrous queens (played by Nurse Wilson), a Nome King (played by Dr Worley) and a mechanical man called Tick-Tock, who resembles the electric shock device built by Dr. Worley. Dorothy must escape from the Nome King’s clutches and regain her ruby slippers, which the King has used to turn the Emerald City into a post-apocalyptic wasteland. Her only companions are Tick-Tock, a chicken, a pumpkin-headed scarecrow and a flying sofa with a moose’s head strapped to it – what more could you want from a children’s movie?! If you get a chance this Christmas, do watch ‘Return to Oz’. You could even write an increasingly baffled live-blog about it, like this Huffington Post reviewer. I can guarantee you’ll be chilled, thrilled and entertained – you certainly won’t get this level of fearsome fun in Frozen! 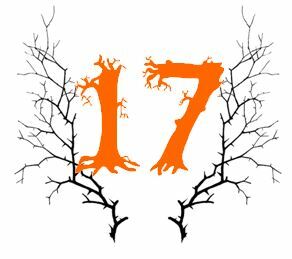 ‹ The Ghostly Advent Calendar: 16th December – Wild Boars!